The attic of this home had only eight inches of insulation installed which was inadequate to maintain the heat that was created inside the home. On top of this, the attic hatch was not properly insulated and was allowing conditioned air from inside the home to enter the attic and escape the home. Our specialist informed this homeowner of the benefits of blow-in insulation at specific depths. The homeowner decided on the depth of blow-in insulation that they were comfortable with and our production crew set out to make their dream a reality. From the photos it looks like this area of the attic was filled with an average of around 20 inches of insulation. This insulation provides a much better barrier between the cold attic and the living space below. With the addition of rigid foam board insulation installed over the hatch this attic is much more insulated and air sealed from the home below. I own a small cabin on Grand Lake in Saginaw that we are reworking. It is on blocks with a crawl space with about 2' of heighth. wanting a quote on spraying foam insulation, and a recommendation on how many inches to spray on. There is some dampness under the cabin during rainy periods, so it seems like this would put a vapor barrier as well. Looking to gradually start replacing windows in our house. Anywhere between 1 and 7 total needed. I would like an estimate done on a large steel building. With a vapor barrier quality spray foam. Bought older home in Cloquet. While remodeling noticed old-time thin wall insulation. Would like to add foam to fill wall cavities. The installation crew was excellent! The only thing I wasn't thrilled with is I asked from something to give my tax preparer next year and have yet to receive it. I need a statement which breaks down materials/labor. Otherwise the staff was great. 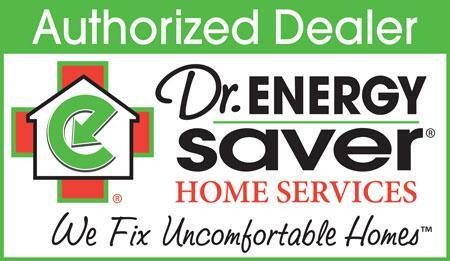 I'm so happy I chose Dr. Energy Saver Solutions. I always felt very comfortable with Everyone. The book Home Comfort Science that Ron left for me is a good reference for me, written so I can understand it. Thank you for Everything! Appreciated our bathroom vent problem was fixed in a timely manner. We provide a comprehensive audit of your Esko home and then walk through with you to show exactly what we found. After our audit you will have a prioritized list of home energy tasks to improve the comfort of your home. Spray foam insulation helps air seal the home as well as insulate it! So you won't experience any drafts coming from the areas where spray foam has been implemented. An even coat of spray foam insulation is applied directly to the roof of this building. Spray foam insulation is a good choice for homes that are making use of the attic space. If there is a bedroom or other living space in the attic you'll want to make it a conditioned space.